Can Cedar Trees Repel Moths? | Mr. Tree, Inc.
Can Cedar Trees Repel Moths? Do I Need a Tree Service Company to Cut the Tall Trees in My Yard? With a change in season, comes a change in wardrobe, but as you begin sifting through your sweaters you realize that small, silvery beige insects beat you to your winter boxes. That’s right, moths have attacked your favorite fall fashion staples, which are now littered with small holes. Even though moths don’t cause health concerns, we can all collectively agree that they sure are a huge nuisance to have around. Moths are infamous for being destructive in nature, especially the larvae which tend to destroy sweaters, coats, comforters, pillows, and other fabrics, especially those made of natural fibers. While these are referred to as clothes moths, there is also a different kind of moth species called pantry moths that are known to infest food. Adult moths might have gained access through a window, door, or gap under the door. There is also a possibility that the larvae may have got stuck onto your clothing or grocery bag and you unknowingly carried it home. And, considering that the female moth can lay up to 300 eggs at a time, it is safe to assume that once they are in your house, it’s a challenge to eradicate them. Pantry moths are attracted to light, but clothes moths are not which is why they are harder to spot. The latter are mostly found in dark corners of your house and are carefully tucked in between the clothes in your closet and drawers. If you suspect clothes moths have infiltrated your space, save your expensive woolen sweaters, silk stoles, and linen jackets and examine your house. If you notice holes in clothes, carpets, curtains, or small maggot-like creatures or webbings in closets or corners, chances are your house is infested with moths. Getting rid of moths is not an easy task because the usual insecticides are not very effective. Even if you manage to kill the adult moths with insecticide, how do you plan to get rid of the deeply rooted larvae? You will ultimately need to throw away all infested food items and damaged clothes to completely get rid of them. Similarly, if you suspect moths in other pieces of clothing, get them dry cleaned. This is the only guaranteed way to kill the larvae and eggs. Yes, getting rid of moths is quite an ordeal which is why it is advisable to take preventive measures beforehand. These include installing screens on your window and doors to prevent adult moths from flying in, maintaining general hygiene at home, inspecting clothes from time to time, storing them in plastic containers if you don’t use them regularly, and doing a thorough vacuuming of your space, especially under large furniture pieces, carpets, and corners where moths are likely to lay their eggs. However, the most effective measure to prevent moth infestation is lining your cupboards with cedar oil. Cedar contains natural oils and a strong odor that repels moths. The oil is made up of chemicals called sesquiterpene hydrocarbons which, according to a 2002 chemical report in Aromatherapy Times Magazine, gives off a “dirty-woody, resinous, urinous” aroma that moths do not like. The use of cedarwood oil in cosmetics and perfumes to repel insects originates way back to ancient Egypt. 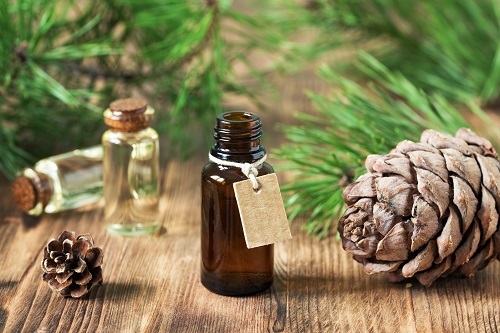 These days, cedarwood oil is derived from Juniperus virginiana, a coniferous evergreen known as Eastern Red Cedar. However, you cannot line your closets with cedar oil and think it’s taken care of for life. Like most oils, cedar oil is also volatile in nature and is only effective as a moth repellant while the scent lasts. In order to keep moths in check, you need to revive the potency of cedar by replacing cedar balls, strips, sprays, or chips every six months. You can also purchase cedar wood hangers and trunks that can protect your clothing. Will Cedar Trees Help Repel Moths? Considering the effect cedar oil has on moths, one may wonder if having cedar trees in the vicinity of your home can help repel moths too. The answer is – yes, cedar trees do repel moths. Cedarwood is considered to be a natural insect repellant owing to the aromatic scent it emits. In fact, people are using cedarwood in building materials and household products due to its durability, strength, and moth-repelling nature. Cedar trees are coniferous trees that are often found in parks and on large properties. They are fast-growing trees that can reach up to 40 feet wide. They require a vast amount of space to grow and flourish and also tend to expand past the canopy spread with roots that grow deep and wide. They grow best in areas with sufficient sunlight, in soils with ample moisture content, and at high altitudes. They are categorized into two groups: True Cedar and Native Cedar. The most common types of True Cedar trees are Atlas Cedar, the Cedar of Lebanon, the Deodar Cedar, and the Cyprian Cedar. These varietals originate from the Mediterranean and Himalayan regions. The cedar trees that are commonly found in the U.S. are the Western Red Cedar and the Eastern Red Cedar. These are termed cedars but are not classified as true cedar trees. Cedar trees act as windbreakers and protect other trees and vegetation in the vicinity from strong winds. The mulch made from cedar bark and wood works great in gardens as they retain moisture and also keep pests away. The best part of cedar trees is that they are not high on maintenance. All you have to do is water them regularly, especially during dry conditions, and prune occasionally to get rid of dead branches that can inhibit growth. But, if you are planning to grow cedar trees in your property, make sure you have the space. Are you ready to plant a cedar? Reach out to your local tree company with questions.